CityWest Hotel and Golf Resort is nestled on 380 acres in the foothills of the Dublin Mountains.. just 10 miles from the airport and the city centre. 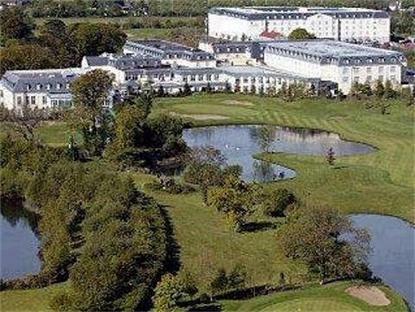 The 4 Star resort features 1169 luxurious rooms.. conference facilities for up to 4000 delegates.. a superb leisure centre.. two Christy OConnor Jr. designed golf courses and a selection of outstanding restaurants ranging from Traditional Irish to Asian Cuisine.. leisurely breakfasts to romantic fine dining. Official host of the Ryder Cup Gala Dinner. Complimentary Breakfast and Newspaper.